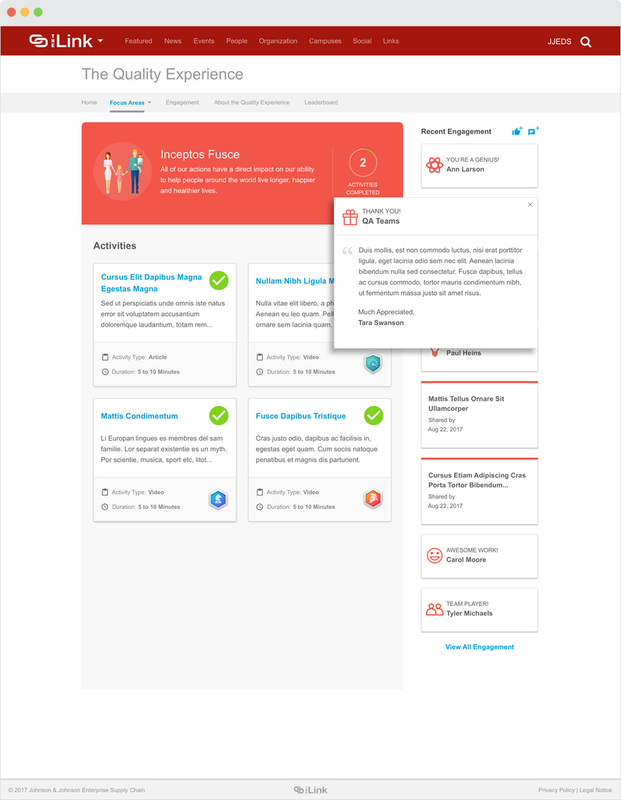 As part of the UX team at Breyta, we were tasked with the design and development of an internal gamification platform for Johnson & Johnson (J&J) corporate that encouraged and reinforced employee engagement towards its core quality initiatives. 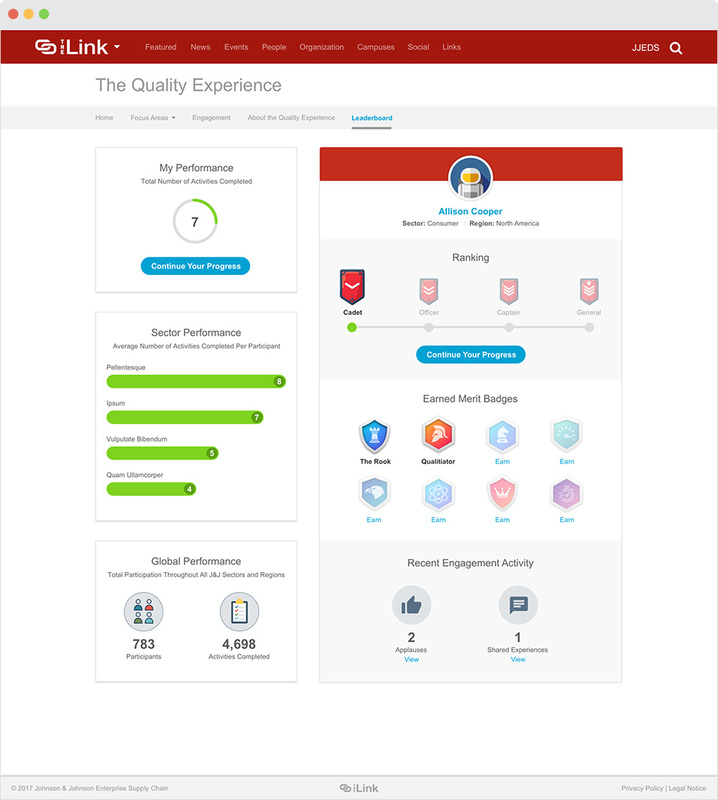 Employees throughout J&J participated in online training activities that would earn them points, advance in ranking and receive virtual badges based on their performance. I worked with the product manager and lead developer in creating the UX strategy and visual design for the gamification platform. This included the development of the game narrative, the game rules and establishing an intuitive interface that allowed users to easily understand the tasks that needed to be accomplished and the rewards that were offered.